Muay Thai is the national sport of Thailand and is a martial art with origins in the ancient battlefield tactics of the Thai army. It uses stand-up striking along with various clinching techniques and sweeps. Muay Thai is known as "the art of eight limbs" because it is characterized by the combined use of fists, elbows, knees, and shins. Muay Thai became widespread internationally in the twentieth century, when practitioners defeated notable practitioners of other martial arts. 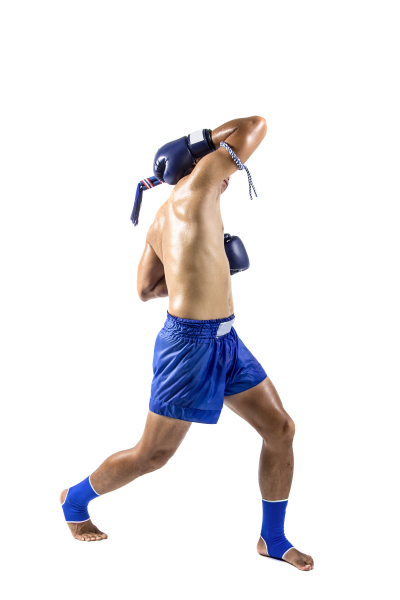 Thai training methods develop devastating power, speed and superb cardio-vascular endurance as well as fighting spirit. Training is quite safe thanks to sophisticated pad training that evolved to keep fighters healthy between fights. 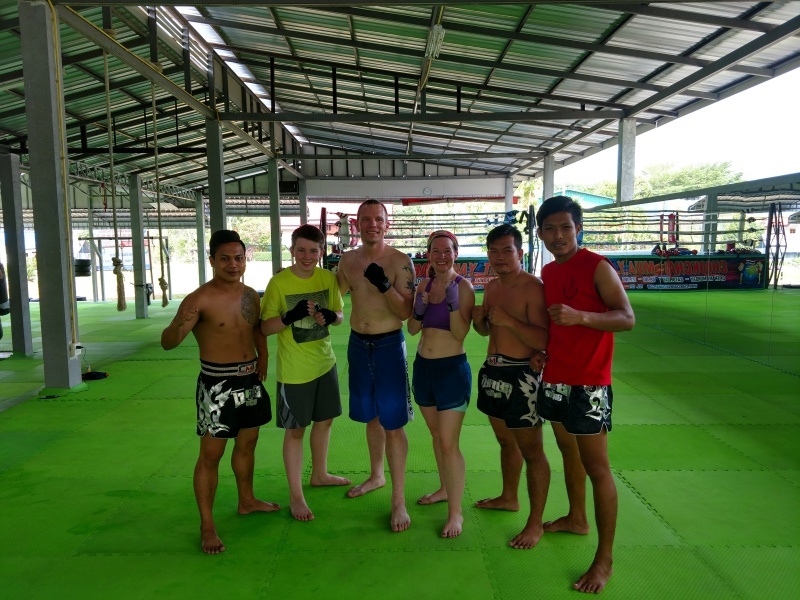 Muay Thai has also proven very effective outside the ring and has been embraced enthusiastically by practitioners of a variety of self-defense, sporting, military and law enforcement activities. 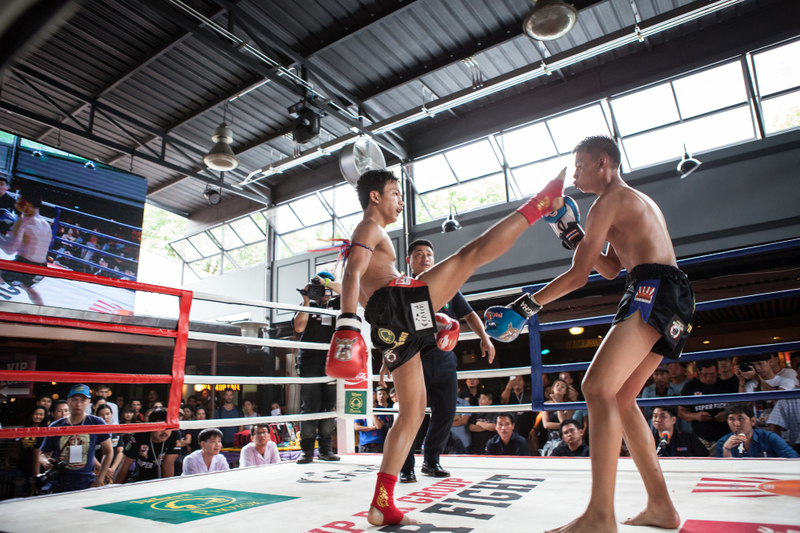 Muay Thai at Academy Martial Arts is modeled after the same format taught in the various gyms throughout Thailand. Each class starts out with cardio to be followed by stretching. Pad work, technique drills, heavy bag sessions, and various conditioning excercises make up the middle of the class. Class concludes with a cool down stretch. Traditional Muay Thai does not have a ranking or belt system. In Thailand your skill is purely judged in the ring. Ranking in Muay Thai is mainly a western practice used to give students goals to achieve. Students are not required to test for ranking and can participate in the same instruction as those that do. Ajarn Chai for his gift of the knowledge of Muay Thai. through his select personal seminar schedule, handpicked seminar team and yearly Instructor Development camps in the USA, UK and Australia.